Classical- and Flamenco-Guitars. Made in Spain. Directly from the factory! The spanish tradition in guitar luthiership is renowned worldwide. But nowadays many instruments with fancy fantasy names, made by more or less known manufactures are often disappointing. This is different with the Almansa guitars, named after the town at the border to Castilia-La Mancha where the company is based. First-class classical- and flamenco-guitars, but also bandurrias and lutes are still made following the traditional manufacturing procedures. The available range of models offers something for any taste and demand. All this providing a quality, that is amazing regarding the price. 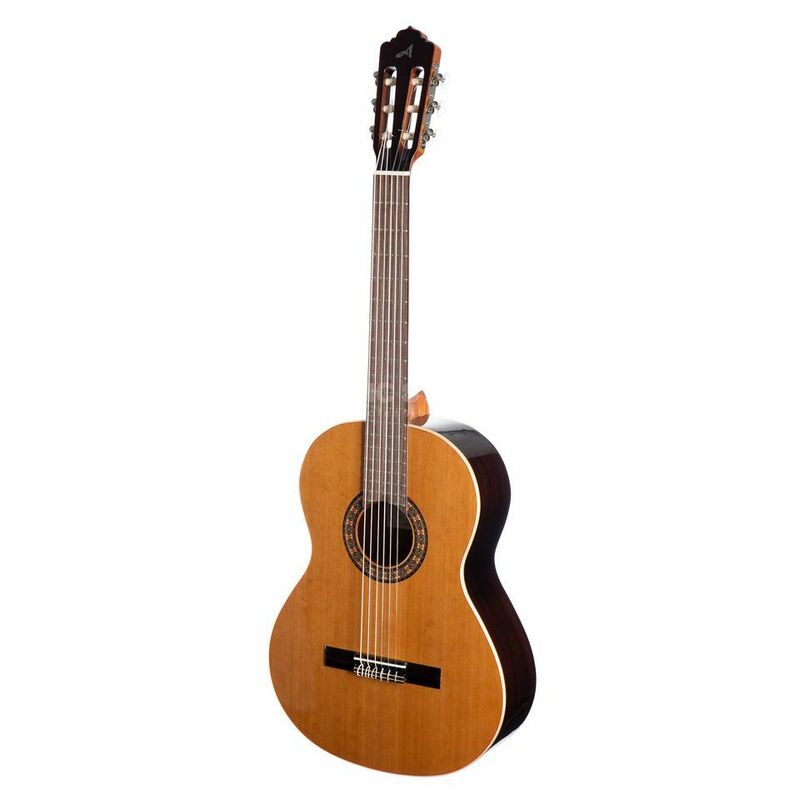 Starting with the Cadete and Senorita models, with their shortened scale especially suited for young beginners or females, to the expensive Conservatorium model.